The Indian online fashion trade is growing fast. And Myntra occupies top spot in the rankings. The e-commerce company makes hundreds of thousands of deliveries every month. And that is possible because Myntra opted for reliable network solutions from R&M. Project: LAN cabling in two office complexes in Bangalore, provision of failure-safe IT and network infrastructures for the fast expansion of mobile online trade, 2015. 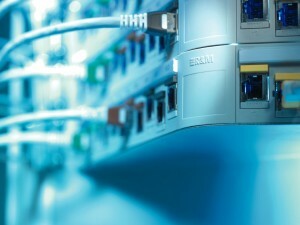 Application: Scalable structured office and building cabling with Cat. 6 connections and OM3 fiber optic backbone. Myntra is the largest e-commerce store for fashion and lifestyle products in India. In 2016, this unit of the Flipkart Group has set itself the target of doubling its sales revenue to USD 1 billion. Myntra currently has more than 1000 brands with over 1.5 million products. A large number of transactions are carried out in particular with online applications for smartphones. This results in massive amounts of data every day. Customer advisors are available around the clock on the phone or by e-mail. The system has to be fail-safe at all times as the effects on business would otherwise be catastrophic. Myntra was thus looking for an absolutely reliable network and cabling solution to equip two office complexes in Bangalore. After a thorough technical evaluation, R&M was chosen as the preferred structured cabling provider. In particular it was the quality and operational reliability of the R&Mfreenet products that swung the decision in R&M’s favor. R&M’s copper solution, comprising Cat. 6 UTP cables, angled 24-port patch panels, Cat. 6 connection modules and patch cords was quickly installed. OM3 fiber optic cabling provides the backbone for the office premises. 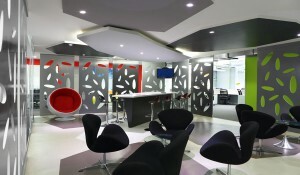 The solution leaves plenty of scope for scalability and technical changes within Myntra’s office spaces. Myntra can rely on a powerful network that can easily keep pace with further growth plans. 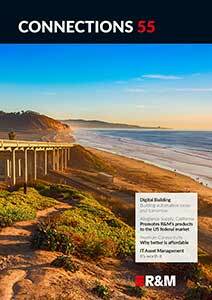 “As an e-commerce company we know how crucial the network infrastructure is, so there is no scope for downtime. R&M implemented an outstanding solution to fulfill all our requirements in terms of performance and reliability,” says Darshan KB, IT Manager at Myntra.